Update: You can become a member of RTI Premium now! Simply follow this link and become a member today! Rocky Top Insider has been the digital destination for Vol fans since 2014, and we’re dedicated to bringing you the best content possible covering Tennessee’s athletics. We’ve brought you thousands of articles, many videos, and even more podcasts and shows over the years. 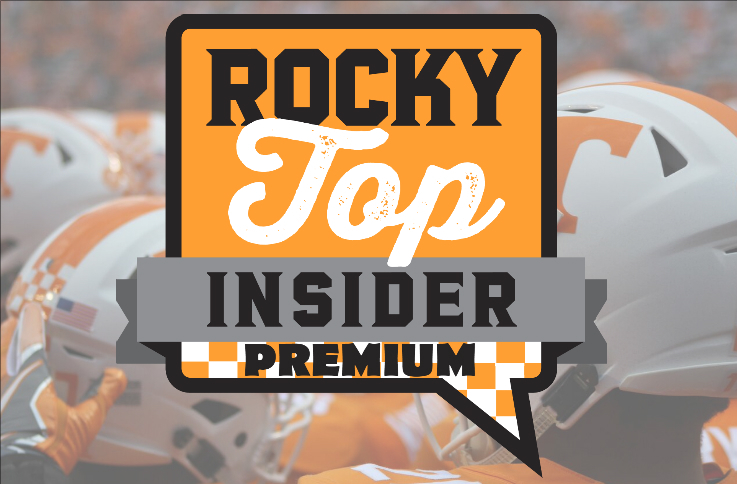 Now we’re excited to introduce you to a whole new way for you to enjoy content from the Rocky Top Insider team! RTI Premium is another way for us to continue to bring you the very best coverage in new and unique ways you won’t find anywhere else. You’ll still get all the same free content you’ve gotten from us for the last four-plus years, but we decided it’s time for us to add a premium aspect to our content as well. RTI Premium will be run through Patreon, and we will have our Patreon page up and running on July 16th. The cost of membership per month will be less than the price of a small coffee at Starbucks, so you’ll be getting plenty of value for your membership. You won’t find a better deal around! With other premium sites, you’re not guaranteed how much content you’ll get with a monthly subscription. With RTI Premium, we guarantee that you’ll get at least 10-15 pieces of premium per month minimum. That’s the absolute lowest amount of premium content you’ll receive from us monthly by signing up. We’ll strive to give you more articles, podcasts, videos, etc. than that per month, but we want you to know the bare minimum of what you’ll be getting. We pride ourselves on our recruiting coverage, and we want to expand that. We’ll provide extensive breakdowns of recruiting film, a big board of Tennessee’s targets at every position in both football and men’s basketball, chances the Vols have with each recruit they’re targeting, and more. We’re bringing back the RTI Recruiting Podcast! Right now, the podcast will just be bi-weekly, but we may expand it to a weekly podcast in the near future. We’ll go in-depth with our recruiting analysis, interview players, coaches, and others close to UT prospects to give you info you won’t get anywhere else. We may also add additional podcasts and video content to cover recruiting in the future, so be on the lookout! We want the RTI Premium community to be interactive and to feel valued. We’ll post weekly content where we answer any and all of your recruiting questions that week. – More Content During the Season! Once the 2018 football season begins, we’ll be rolling out even more premium content! Premium practice reports, exclusive interviews, videos, giveaways and more will be coming your way! We want to build a community with RTI Premium, and we want as much feedback and interaction from our members as possible. We promise to respond as much as we can as well. Once we reach 500 members, we’ll unveil a new service where we bring the fan front and center. We want to highlight the experiences of Vol fans everywhere, and we’ll interview Vol fans and give them a chance to talk about their best Vol memories, why they’re a Vol fan, and much more. We have more exciting news to come in the future, so be on the lookout for even more announcements from us later this year! Be sure to follow us on Twitter (@rockytopinsider) and like us on Facebook so you’re aware of the news as soon as we announce it. We want to thank all of you who have read, listened to, and shared our content throughout the last four-plus years, and we’re very excited for this newest addition to the services we provide Vol fans. We thank all of you for making this all possible.